Edge data centers are currently one of the hottest trends in the data center industry. Deployed in “Tier-2” locations, these smaller, cost-effective, remotely managed facilities help organizations decrease latency when providing core content, applications, and functionality to end users and devices. Whether they’re used for streaming services like Netflix, online gaming, big data analytics, or self-driving cars, edge data centers are rapidly becoming just as mission critical as their larger, enterprise counterparts. However, edge data centers come with their own set of management challenges. Our President Herman Chan shared his thoughts on these challenges in a recent article in Data Center Frontier, an online data center industry publication focused on cutting-edge innovation in design, efficiency, and scalability. Titled “5 Edge Data Center Management Challenges,” the article discusses challenges of edge data center deployments, the data and capabilities needed to effectively manage these data centers, and why DCIM software is a critical enabler for achieving success at the edge. Want to learn more about the challenges edge data center managers are facing today and how DCIM software can help solve them? 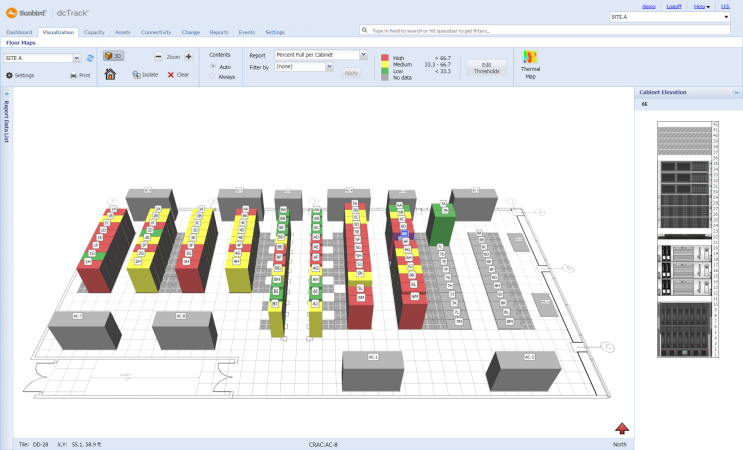 Read the article here and then try Sunbird’s dcTrack DCIM Operations software for yourself.